Every home could use a tray or two, right? 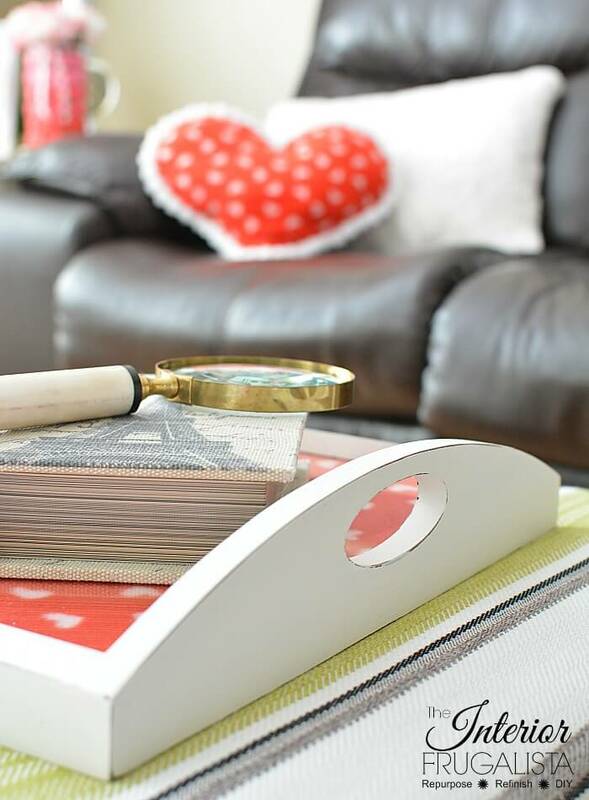 Oftentimes they come with a hefty price tag but there's a budget-friendly option. 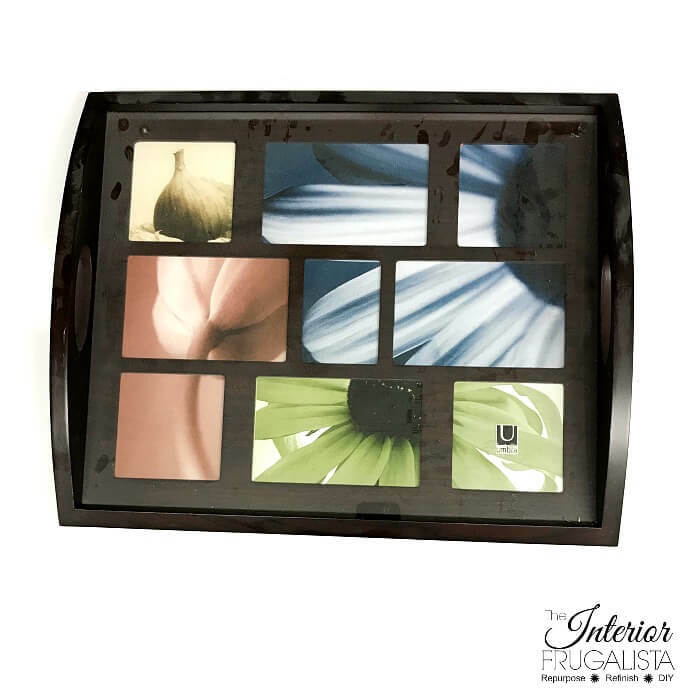 Umbra photo trays found at the thrift store make the perfect year-round tray to use for every new season or holiday. 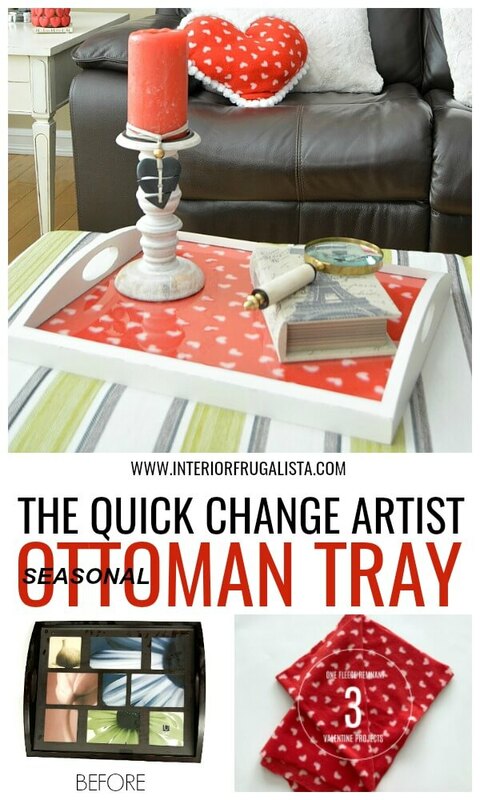 By simply changing what's displayed under the glass, ONE tray becomes the quick change artist seasonal ottoman tray! 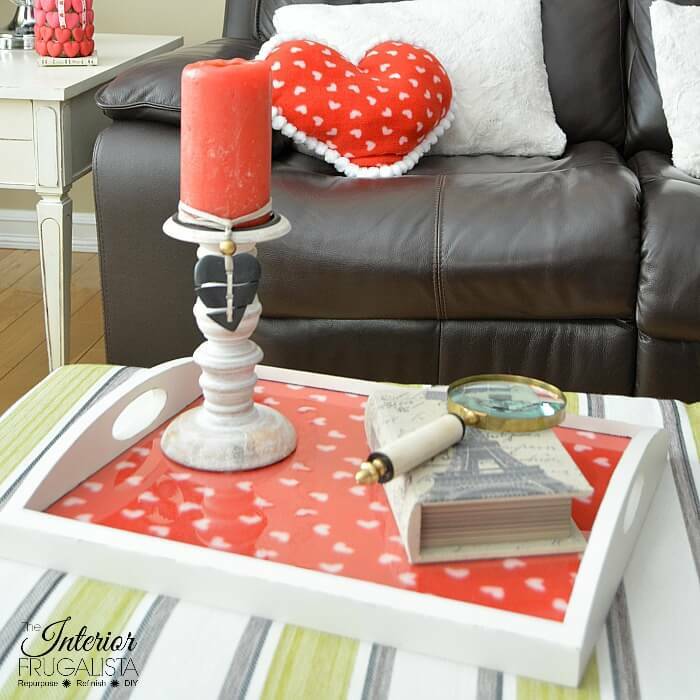 Like my upcycled Umbra tray that I'm currently using to decorate for Valentine's Day. 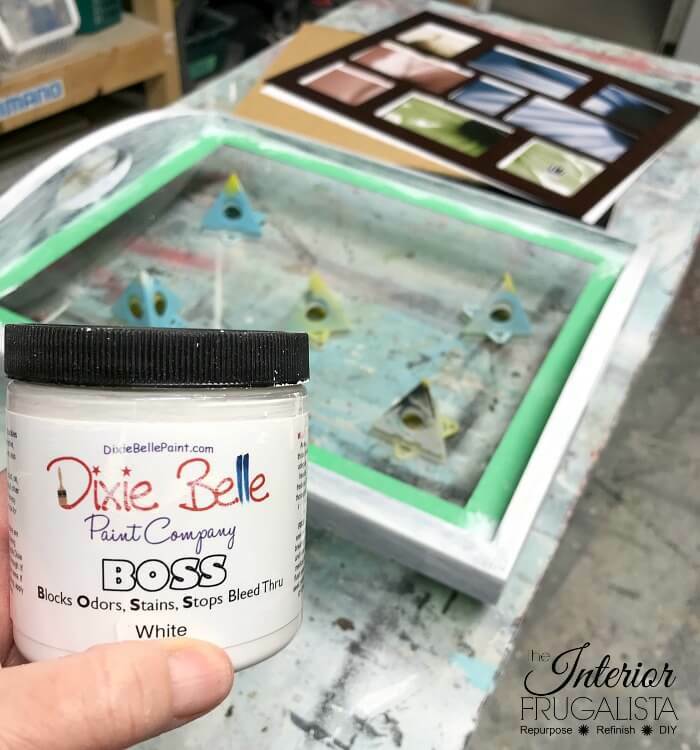 Painted a neutral white, it works with every color, pattern, and style of embellishment placed under the glass year-round. When you live in a small home like I do, giving home decor a multi-purpose is key to avoid having to store it during the off-season. I do the same thing with seasonal pillows. I keep one size pillow forms and change out the pillow covers ONLY for the seasons like I did with these Holiday Ornament Pillows. 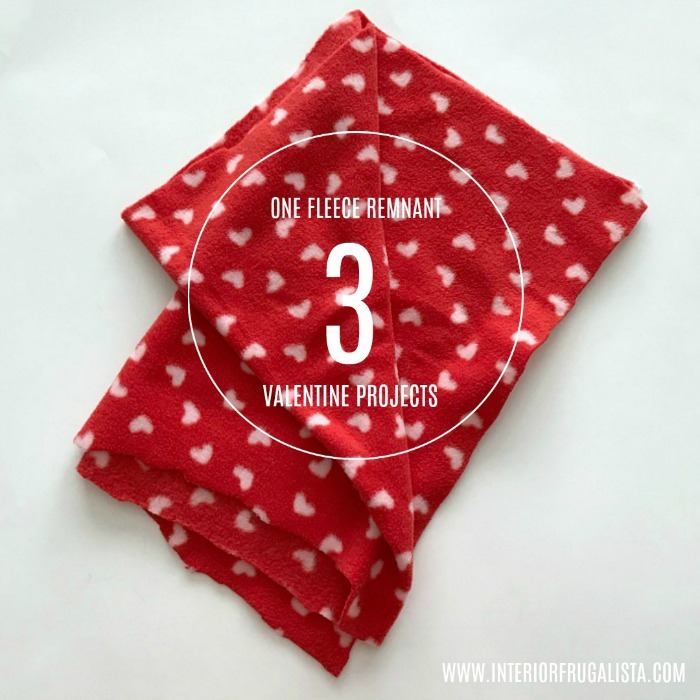 The red and white heart fabric I used to decorate the tray for Valentine's Day may look familiar because last week I shared how I used some of the fleece remnants to make an easy Fleece Valentine Heart Pillow. The possibilities are endless to change what's displayed under the glass of the tray. You could use fabric like I did or scrapbook paper, wrapping paper, wallpaper, napkins, doilies...well you get the picture. I've seen these particular trays often at thrift stores. In fact, a few years ago I upcycled an identical one with scrapbook paper and typography, turning it into a Coffee Tray With Rustic Charm. There are a few things that need to be done first before we paint the tray. First, remove the backing and the wood photo mat (which we will not be using). Unfortunately, oftentimes the glass can't be removed because it's glued down so I recommend running a piece of painter's tape along the edge of the glass. With 150 grit sandpaper lightly sand the wood to rough up the glossy finish. Because of the dark cherry stained finish, you are guaranteed to get some paint bleed where the tannins in the wood bleed through the paint. For this reason, it's important to prime the tray first. Now the tray is ready to be painted with neutral white chalk paint. Note, if you notice pink spots coming through the paint then you'll need to add another coat of primer. 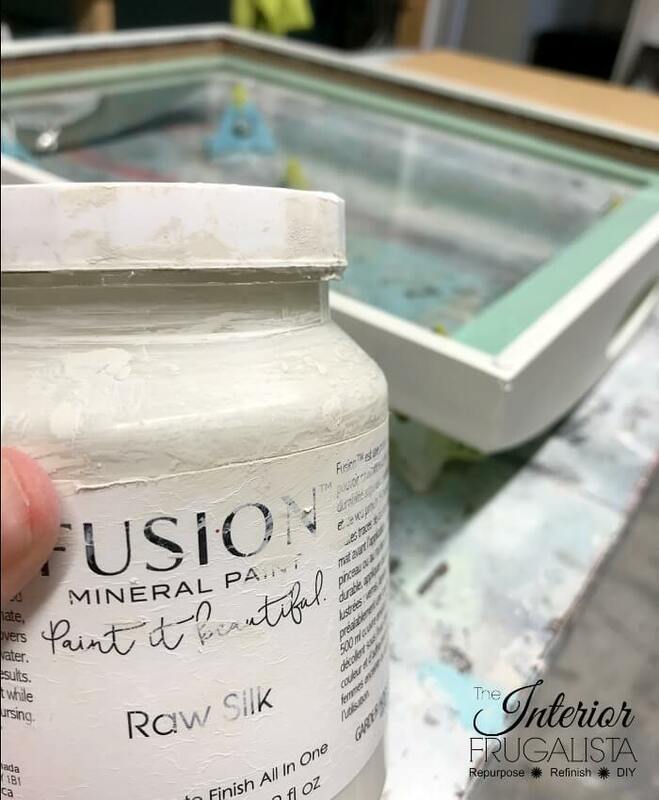 Once the last coat of chalk paint is dry, lightly sand along the edges with 220 grit sandpaper for a distressed finish like pictured below. Protect the paint with either clear wax or a clear top coat. Depending on how much use the tray will get, I would suggest the later. Although having said that I, on the other hand, used white wax to protect my tray. Now we're ready to replace the photo paper that came with the tray with pretty seasonal scrapbook paper, wrapping paper, wallpaper, fabric, and the list goes on. The possibilities are endless. For my Valentine heart fleece, all I did was wrap it around a piece of cardboard cut to size and taped it onto the back. Easy peasy! Clean the glass inside and out, scraping any paint splatters with a scraper knife. 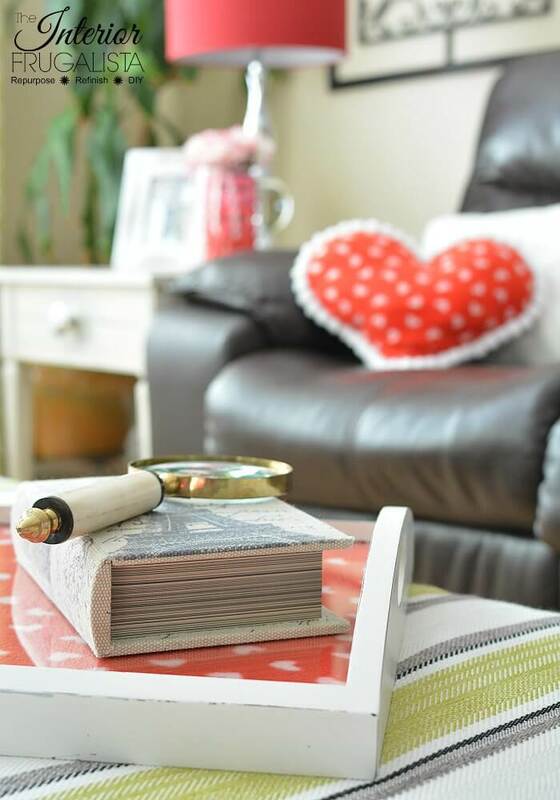 Make sure the glass is completely dry before inserting your pretty paper or fabric. Assemble the frame and you're done. 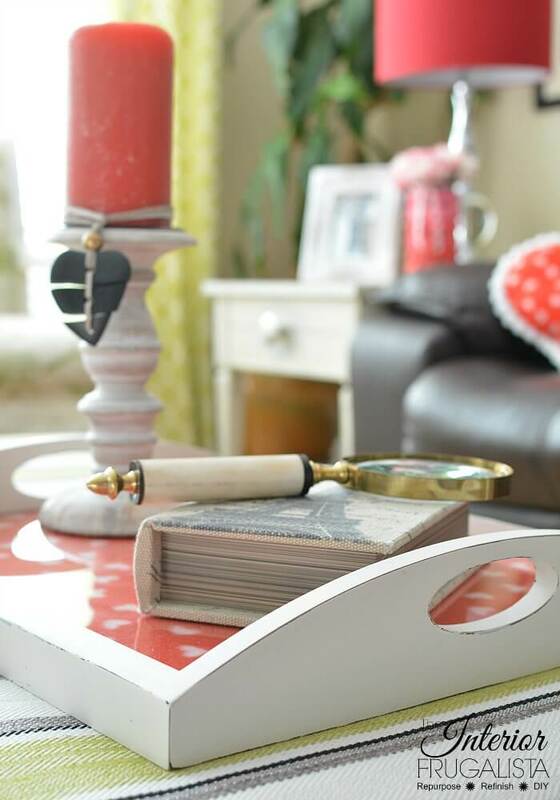 If anyone is wondering about the Ombre Valentine Flower Vase on the end table in each of these photos, it was such an easy craft made with mod melts and a glass cylinder from the dollar store. I have a fetish for trays and have a stack of them waiting for makeovers. 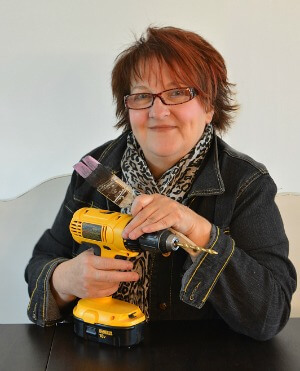 I've upcycled many over the years and if you'd like more inspiration, visit my Trays & Tiered Cake Stands page. Turned out great Marie! 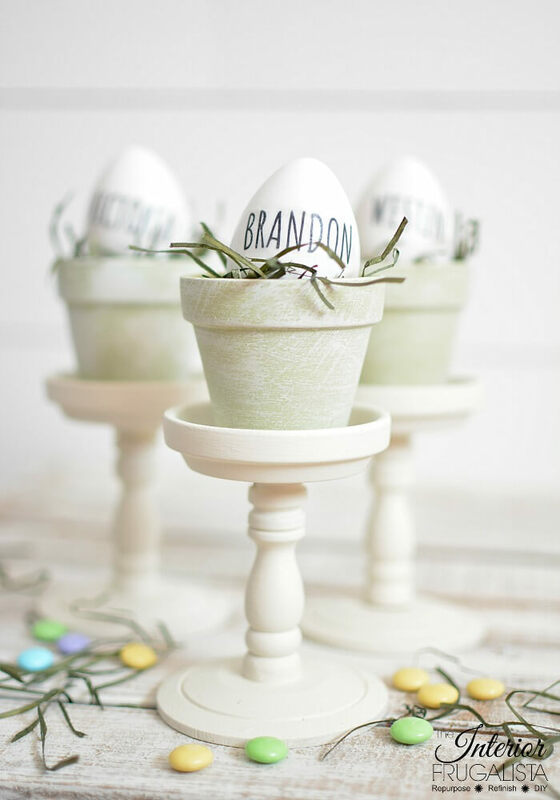 I love things that you can use for all seasons/holidays! Thank you Tania! I can't wait to decorate it for Easter soon. It's always fun giving old and dated serving trays a fresh new look. I hope you have fun giving yours makeovers. I know they'll be stunning! Marie that is such a sweet idea. I need to find a tray like this to add to my living room. I have been looking everywhere and can't seem to find one at a reasonable price. Oh no, that's too bad Mary, they come a dime a dozen over here. I hope you have success on your quest soon. Looking forward to switching my tray to Spring soon! Thanks for stopping by and the pin! I'm glad you like this space-saving tray idea. This is very nice! 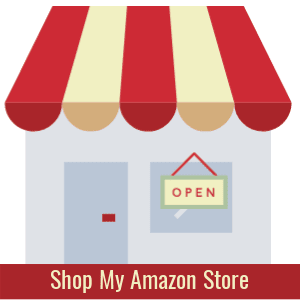 It may be time for my son and me to hit the thrift store and see if we can find some furniture to spruce up! Furniture or home decor, the possibilities are endless for a home filled with inexpensive but well made pieces with a custom look! I don't remember the last time I decorated or furnished our home with off the rack pieces. 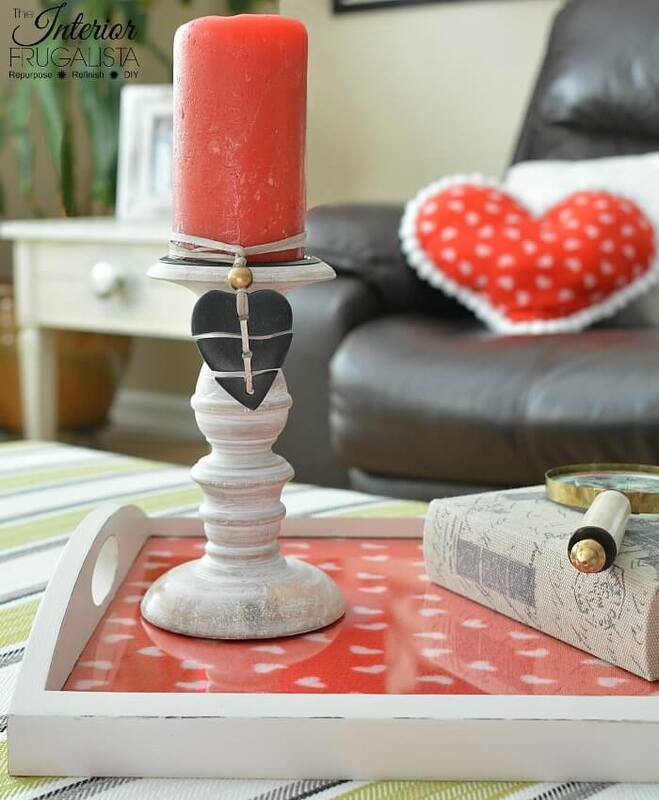 LOVE the tray... and the candle charm, too... Did you create that? Thanks for sharing at Homestyle Gathering! Pinned! Thank you Julie 😊 The candle charm is a necklace that I wrapped around for added charm to my Valentine vignette. Thank you Randi! Such fun coming up with new ideas to display under the glass for each new season.